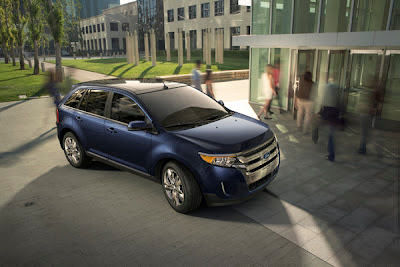 BRIGHTON, Mich., Feb 7, 2012 – The 2012 Ford Edge is the crossover that has something for everyone. It’s not a truck, it’s not a minivan, but it’s more than a car. The Edge redefines the standard of style for crossovers with its sleek edges, handsome grill, and beautiful panoramic moon roof. Don’t get the wrong idea, the Edge is much more than just looks. The Edge comes equipped with either a 285 HP 3.5L V6 engine or a 305 HP 3.7L V6 engine both options come standard with a 6-speed automatic transmission. There is also an EcoBoost option for drivers looking to enhance their fuel economy. 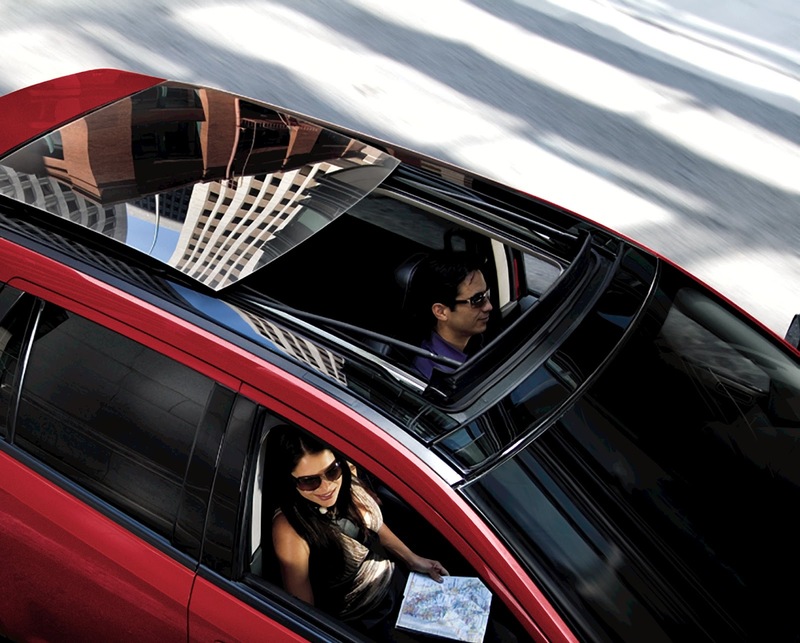 If you think the Edge’s exterior was sleek and stylish, than the interior design won’t disappoint. The refined design of the Edge’s exterior transitions smoothly to the interior all the way from the door trim, to the instrument panel and shifter, down to the floor console. Add SYNC with MyFord Touch for exceptional driving assistance as well as a futuristic feel. Did we mention the Edge is exceptionally comfortable too? 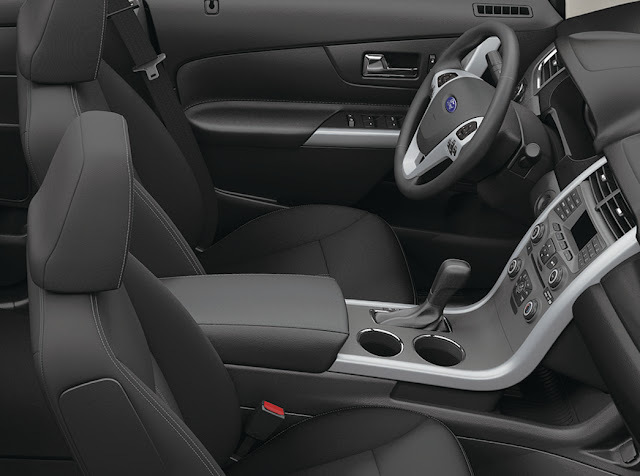 The Edge has second-row legroom that is unsurpassed by any other midsize crossover. That feature alone speaks volumes about the attention paid to comfort in every Ford Edge. Fold the back seats down and take advantage of the extra cargo room perfect for hauling hockey equipment up to the Kensington Valley Ice House. 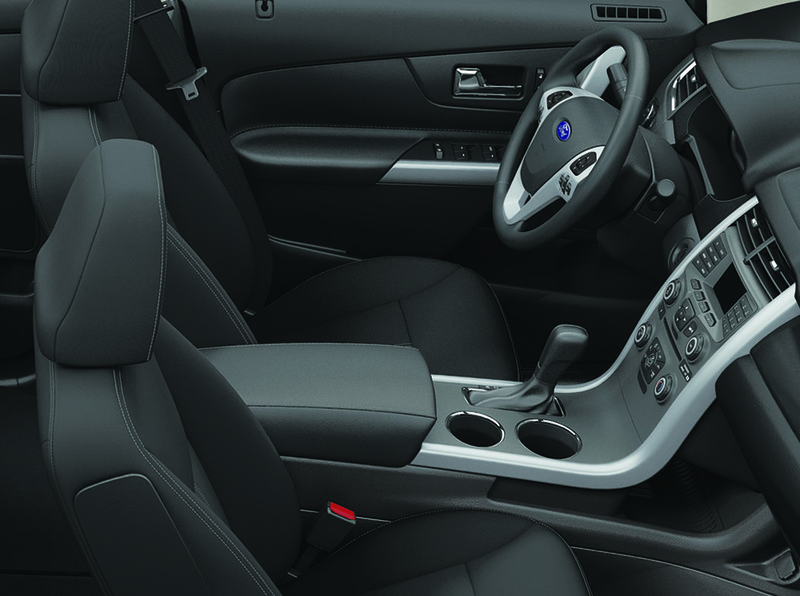 The 2012 Edge's interior was designed with comfort, style, and accessibility in mind. Steering wheel mounted controls allow you to access the SYNC features without letting go of the wheel. The 2012 Edge is the unique crossover that drivers of all vehicle types would enjoy. Don’t just take our word for it. Come in and test-drive a 2012 Ford Edge and experience for yourself the exceptional style, superior handling and fascinating features that the Edge has to offer. 2012 Ford Edge has optional and new turbo charged EcoBoost 4-cylinder engine which essentially gives power of V6 but has fuel economy of 4-cylinder. But the reason behind not buying 2012 Edge is due to lot of in-house competition.